Housed in the College of Engineering, the Bachelor of Science (B.S.) in Computer Science at NC State is available for undergraduates seeking first-rate, ABET-accredited preparation for employment in the technology field. Requiring at least 120 semester hours, the modern curriculum introduces the cutting-edge scientific and engineering principles used to program computing devices. Great emphasis is placed on the analytical thinking skills needed to design evolving technologies and address contemporary computer issues. Students benefit from real-world research opportunities with the Institute for Advanced Analytics, NSA Information Assurance Center, and Center for Educational Informatics. Highly motivated students with a minimum GPA of 3.5 can join the CSC Honors Program. Over four years full-time, the B.S. 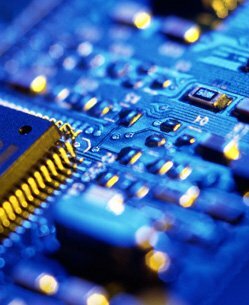 in Computer Science program takes students through courses in programming, software engineering, logic, operating systems, data structures, linear algebra, probability, computing ethics, and automata. Majors can add a Concentration in Game Development to focus on technologies used to make video games. In the final year, students will work with a sponsoring company to design software through the Senior Design Center. Students can join the university’s Upsilon Pi Epsilon Honor Society chapter. If students aspire for a graduate degree, there’s a five-year Accelerated Bachelor’s/Master’s (ABM) option offered. North Carolina State University at Raleigh also grants an Online Post-Baccalaureate Computer Programming Certificate. Founded in 1887 under the Morrill Land-Grant Act, North Carolina State University at Raleigh was initially segregated college providing agricultural and mechanic arts education for white students. The first African American students weren’t enrolled until 1956 after the Supreme Court’s ruling in Brown v. Board of Education. Today, NC State is a premier public senior research institution with land-grant, sea-grant, and space-grant status. Around 25,100 undergraduates and 9,500 post-graduates enroll in NC State’s over 160 programs annually. North Carolina State University is located on a sprawling 2,110-acre urban campus in Raleigh as part of the Research Triangle with Duke and UNC Chapel Hill. NC State has a high average freshman retention rate of 92.3 percent. According to the U.S. News, NC State is ranked the 89th best national university, 37th top public school, 50th best value college, and 72nd best university for veterans. In particular, North Carolina State University at Raleigh is recognized for America’s 28th best engineering school and 48th top computer science degrees. Forbes lauded NC State as the 32nd best college in the South. Kiplinger’s Personal Finance named NCSU among the top 10 best values in public higher education. NC State was included in the Princeton Review’s 81 “Colleges with a Conscience.” The Wall Street Journal ranked North Carolina State University at Raleigh as the 19th best college nationally for recruiters. Times Higher Education positions NCSU in the best 350 universities worldwide. 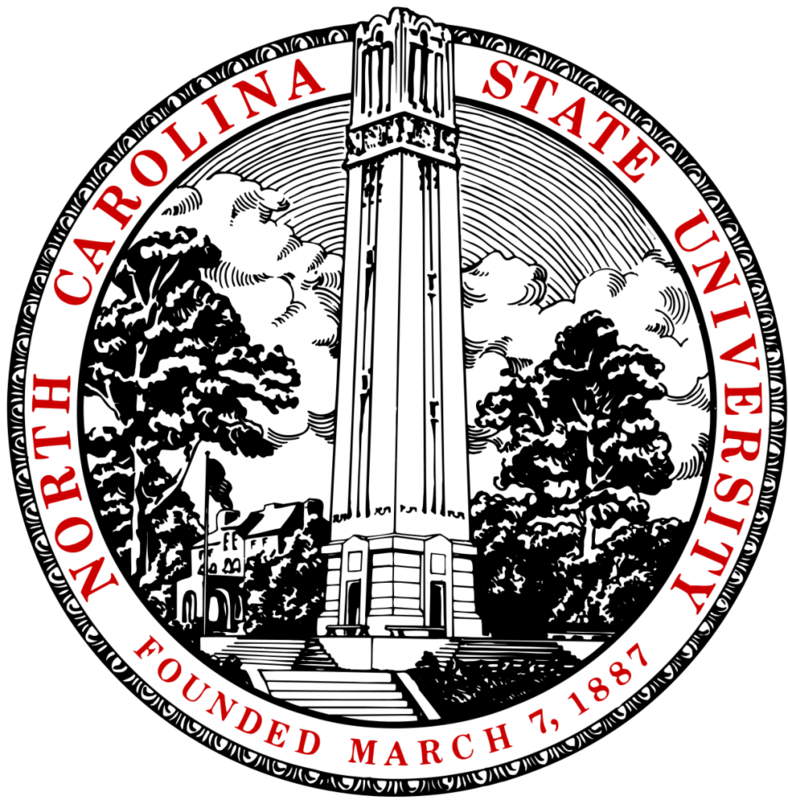 Last reaffirmed in 2014, North Carolina State University at Raleigh is institutionally accredited through the Commission of Colleges of the Southern Association of Colleges and Schools (SACSCOC). This regional accrediting body is recognized by the U.S. Department of Education for Title IV funding. The College of Engineering has earned discipline-specific approval from the Accreditation Board of Engineering and Technology (ABET). In particular, the Computer Science Department aligns with guidelines from the ABET’s Computing Accreditation Commission (CAC). It has also been designated a Center for Academic Excellence in Information Assurance by the National Security Agency (NSA). North Carolina State University at Raleigh has an acceptance rate of 51.4 percent, so there’s a very competitive application process. Aspiring freshmen must be graduating with an approved high school diploma or GED equivalent. The UNC system requires at least four units in English, three units in math, three units in science, two units in social studies, and two units in a language other than English. Homeschooled applicants must be registered with the NC Division of Non-Public Education. First-year students should have a minimum high school GPA of 3.0 or better. On average, admitted freshmen score 1828 on the SAT and 28 on the ACT. Undergraduate transfers interested in the B.S. in Computer Science program must hold at least 30 semester hours or 45 quarter hours from a regionally accredited college. If students have less and are under 21 years old, the above freshman criteria is followed. Incoming transfers should have a strong cumulative GPA of 3.0 or higher. The College of Engineering mandates that transfer students have completed English Composition, Calculus, Physics, General Chemistry, and two Mathematics courses. Grades below a C- will be excluded. Students with a two-year associate’s degree from a North Carolina community college may be given priority. International students must score at least 80 on the Internet-based TOEFL or 6.5 on the IELTS. Full-time undergraduates from North Carolina are charged $8,581 each year. Tuition and fees for non-resident undergrad students are $24,932 for every full-time year. Room and board is estimated at $6,375 and $3,936 respectively. Textbooks and supplies cost around $1,076 annually. Personal expenses will likely add $1,500 every year. Total annual cost of attendance at North Carolina State University at Raleigh is $22,398 (in-state) and $38,749 (out-of-state). Students taking online courses will pay $243 (in-state) or $553 (out-of-state) per credit hour. Around 69 percent of beginning full-time NC State students earn financial aid. More than $22 million is given in institutional assistance yearly. After filing a FAFSA form, students could borrow money through Federal Direct, Federal Perkins, or Parent PLUS loans. NCSU Short Term loans are available for up to $400. Some students qualify for the Pell Grant, FSEOG Grant, SMART Grant, or Iraq and Afghanistan Service Grant. In-state residents can receive the North Carolina Education Lottery Scholarship or UNC Need Based Grant. There’s also the NCSU Tuition Assistance Grant and Academic Enhancement Grant. Federal Work-Study (FWS) is offered with a limited number of campus jobs. Scholarships are also abundant, including Park Scholarship, Caldwell Fellows Program, Centennial Scholarship, and Goodnight Scholars Program.